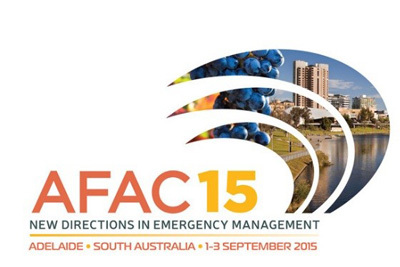 The Elliotts team recently attended the 2015 Australian Fire and Emergency Service Council Conference (AFAC) in Adelaide South Australia. While we were there we exclusively revealed a number of new products. One of the most exciting ranges we released was the Queensland Fire and Emergency Services (QFES) TecasafePlus Urban Wildland Clothing, designed especially for, and in conjunction with the QFES. Made from a lime green Tecasafe plus fabric, the garments will be used by QLD Firefighters when responding to road traffic accidents and urban wildland events. While previous QFES garments featured treated cotton, the new design incorporates Tecasafe Plus, an inherent blended fabric. The Tecasafe Plus Fabric provides excellent protection against severe burns from flash fire and electric arc, while also featuring bio-cellulosic fibres providing better moisture regulation and quicker drying, making them extremely comfortable to wear. Tecasafe is also a particularly durable fabric, retaining its strength and colour even after extensive use and laundering. QFES was heavily involved throughout the entire design process, working closely with Elliotts to make sure that the new custom-made garments met all the important needs of the Queensland Firefighters. Through a process of ongoing consultation, numerous samples were developed and trialed to ensure that all aspects of the garments right down to the pockets fitted the specific needs of the QFES. The final garments are a huge improvement on the existing design, incorporating features such as 50mm wide braces for a more comfortable wear, water bottle holders within the jackets for easy access, and an improved collar design to provide greater protection and improved closure. The external pockets were specially designed to fit important Firefighters’ tools such as gloves, respirators and radios, while the inside pockets were designed to accommodate notebooks, pens, and mobile phones. To help extend the life of the garment, high wear areas such as knees and trouser cuffs were reinforced with Arashield, a highly abrasion resistant material. To assist in lifecycle management requirements of the QFES each garment made includes a RFID (Radio-Frequency Identification) chip. This enables the review of each garment’s historical data in relation to laundry and repairs, providing information for future cost planning and management. We’ve been delighted to work closely with QFES to provide specific fire fighting garments that provide practical functionality, durability and comfort for the wearer and most importantly enables firefighters to remain safe in the most extreme situations.